There is simply no denying that the surge in mixed reality has been the biggest story of 2017. Some might argue that the release of the iPhone X was just as big, or that soaring values for cryptocurrencies constitutes as big a tech phenomenon as a financial one. It was recently written that Nintendo’s resurgence was the biggest tech story of the year, and that’s not a bad argument either. But the broader and likely more impactful story was that mixed reality began to spread. Virtual reality became more accessible and more “normal” and, partly thanks to the iPhone X (but really thanks to new software development platforms from Apple and Google), augmented reality became commonplace overnight. Together, VR and AR make up what is often referred to as mixed reality. The stage is set for 2018 to be a huge year in this industry, as developers across the gaming spectrum turn their attention to the potential of new styles. Already there are plenty of noteworthy games in both VR and AR. With these mediums still growing and evolving, however, here are 10 names to keep an eye on for further advancement. Right now, Niantic is the hottest name in augmented reality. The company behind Pokémon GO helped expose the world to this style of gaming, and is now looking to seize control of the industry. In addition to continuing to update Pokémon GO, Niantic will be introducing new games in the near future – including an AR experience based on the world of Harry Potter. Bethesda has been very busy (and very successful) over the last two years. Fallout 4 was arguably the biggest title in gaming for quite some time, and a mobile app accompanying it did very well also. Now preparing to dive into VR with a Fallout adaptation, Bethesda is poised for a lot of follow-up activity in 2018. Late-2017 and early-2018 in VR are being marked by the transition of recognizable franchise titles to the new medium. Fallout is just one example, with titles like Skyrim and Doom also making their way to VR. Activision is a virtual gaming empire, but in particular we should keep an eye on its Call Of Duty franchise. It’s just hard to believe that the company will allow its competitors to succeed in VR without a challenge. Psytec Games was identified by VentureBeat in a 2016 article as a VR game developer to watch, and remains among the most intriguing companies in the business. With a budding series on its hands already (Windlands and Windlands 2), as well as the captivating game Crystal Rift, Psytec continues to be a company to watch. This is more of a shot in the dark – but to this point, we’ve seen very little in the way of adaptation for serious sports games in mixed reality. This can only last for so long, and with EA being king in this genre, we should bear in mind that they could well announce any number of AR or VR sports games at any point. Fireproof is the small mobile developer behind The Room and its sequels (very popular mobile games), and has also dabbled in VR before. With some games that appear to be imitations of The Room already circulating on AR, it seems very likely that Fireproof itself will become active in this category sooner rather than later. Rovio, in case you’ve forgotten the name, is the developer behind Angry Birds (and its numerous sequels and spinoffs). With Angry Birds being arguably the greatest franchise in mobile gaming history, and being a fairly natural fit for AR, anyone with an interest in gaming trends should keep an eye on Rovio. This is a developer that works in the casino genre, and which has already announced that it will add virtual reality games to its formidable collection. This puts the company at the forefront of what could be a significant movement of an entire genre into VR (and possibly AR as well). 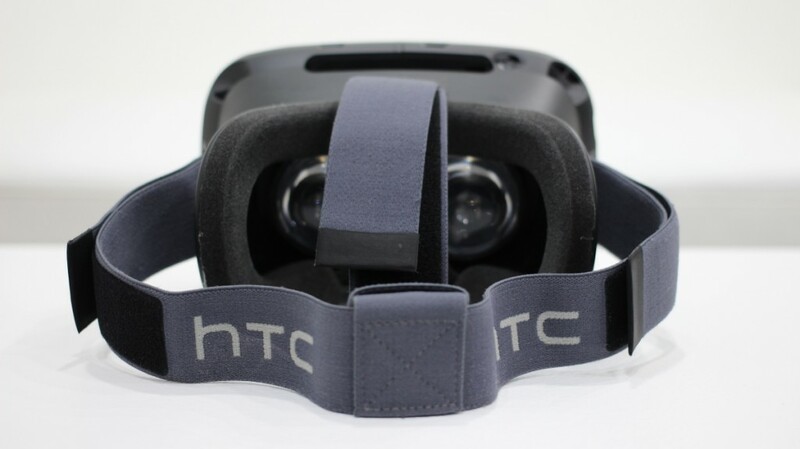 HTC is not a game developer, but is certainly still a name to watch. The HTC Vive is by most accounts the most impressive VR headset available – and also the most expensive. It will be fascinating to see if the company attempts to lower the price for its headset in the near future, or whether it bets on consumers paying more. This decision could set the tone for the future of the technology. As always, Apple should be kept in mind also. By introducing ARKit (its development platform for AR), Apple set itself up to define mobile-based augmented reality – even if Google’s ARCore is more or less the same thing. But what we still aren’t clear on is whether or not Apple will be adding AR glasses to its product line. Most of the evidence suggests it will indeed, though it’s uncertain, and the timeline is hazy.